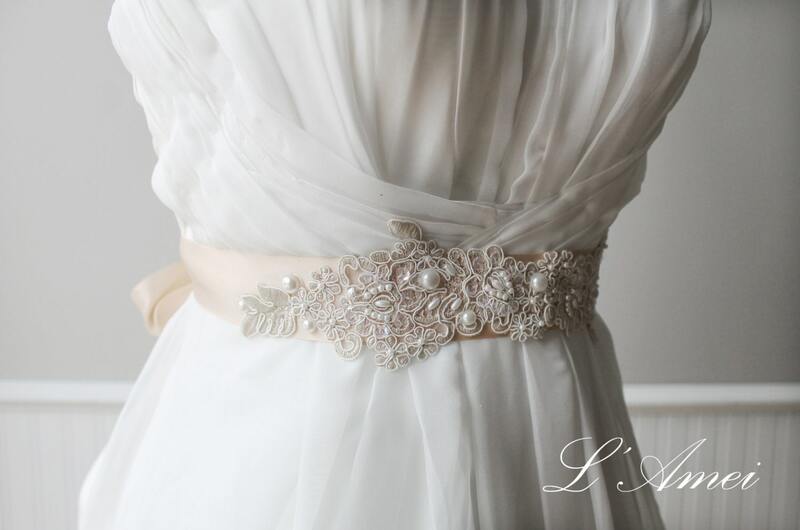 ~ ❤This bridal sash has been hand beade with soft peach lace on soft peach ribbon. 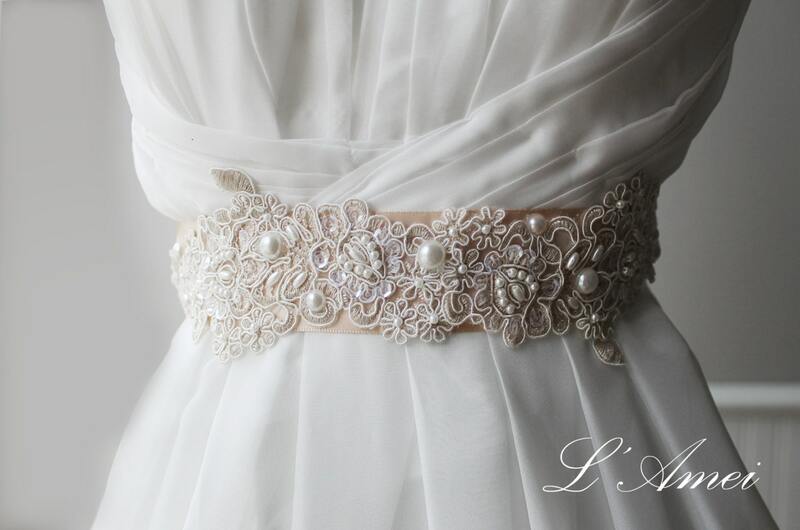 The center of the lace blooms are embellished with Sequins and small faux pearls for a subtle sparkle. 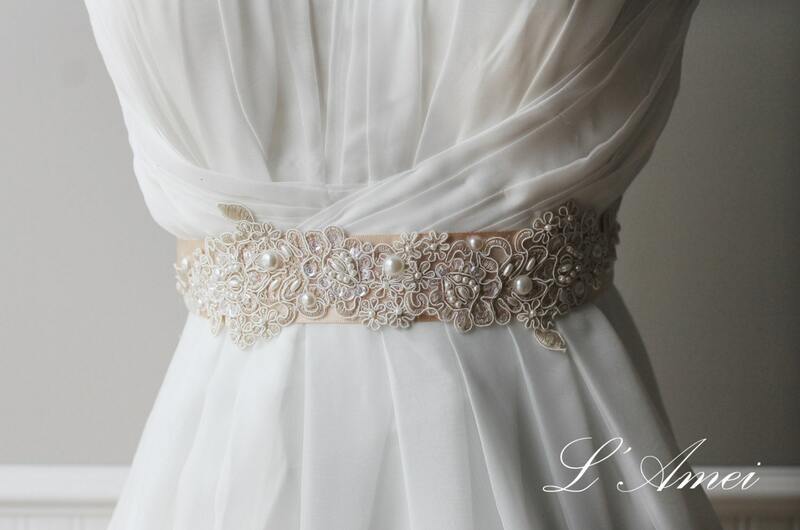 This sash would be a beautiful addition to a wedding gown. 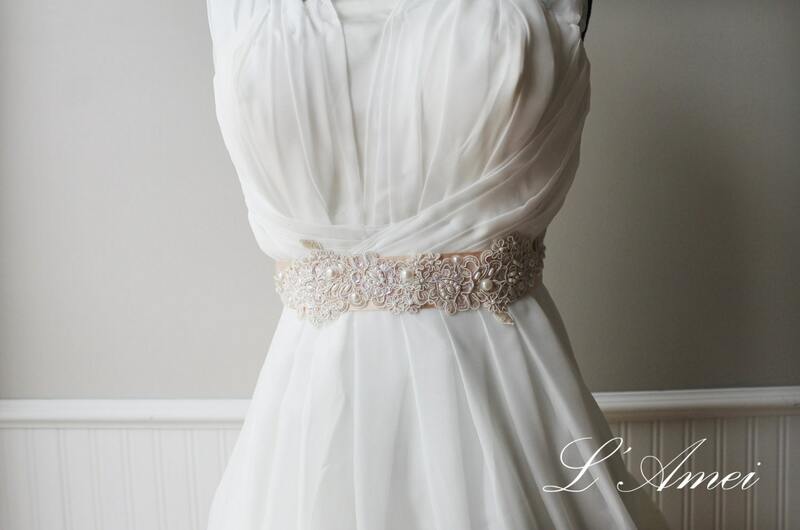 Elegant styling,In addition to weddings,You can also use other prom dresses. 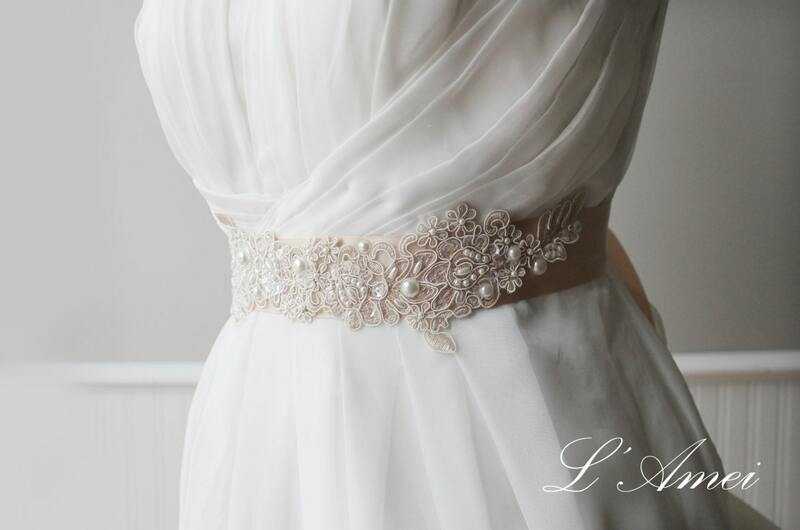 ~ ❤Each item is handmade so every is different and unique!